How fun is this ... great card. Cute card! I love my Misti!!! This is such a fun card!! I love that you just used the smaller image from the set and made it front and center!! Fun, fun, fun card. My grandson would love this. Thanks for the share. Great idea for such a fun card! following you now! Love this card! I often struggle to figure out card for Valentines or love. This one is perfect! Thanks for sharing! This card is so cute and would appeal to both adults & children. Thanks for the chance to win. I had to smile when I saw your card. I love how you just used the bananas, so cute! Very cute card, a video would be great to see it turn. I don't know anything about using brads. oooo love the banana bunch. So cute! Very cute idea to have the circle rotate. Such a cute card. Perfect for Valentine's Day. This is so cute Maureen. I love that the circle turns! A great idea! Sweet little card with some great technique! Love that card. So colorful! 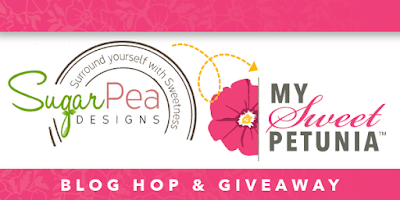 I love your misti tutorials! What a great sense of humor. So cute. Super cute & fun card! Love it! Very fun card. I love that you made it interactive. How fun is that circle of bananas ... love it. What a cute card and creative idea. I love this vibrant card. This made me smile :-D Very clever! Your ring of bananas is so clever and cute! 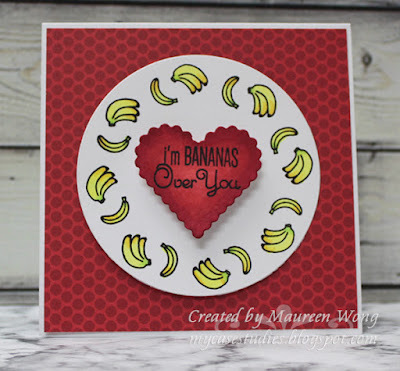 And I'm bananas over this card and stamp set! Super fun and cute!! Thanks for the inspiration. Wow cool card. Thanks for sharing it. What a cute design with the circle of bananas. What a cool idea to make the circle turn, and the little bananas are adorable! Super cute. Never saw a heart and bananas in same picture. Great idea. Thank you for your time, talent and willingness to share your ideas. What a cute and fun card! Your designs are always inspiring. Interactive cards are such fun. Great card. A rotating card! What fun! sweet and simple makes for a winning card! Very cute! Love the saying! Simple, but so cute. Love the way you made the circle turn. What a perfect card! I love ideas for using the little 'extras' in a stamp set! Fun card and well done! What a cute design. I love how this is an interactive card. Very fun card! Love those cute bananas with the sentiment! Enjoying the hop! What a fun idea to have the circle spin.. Such a fun card! Very cute!! Love the bananas!! 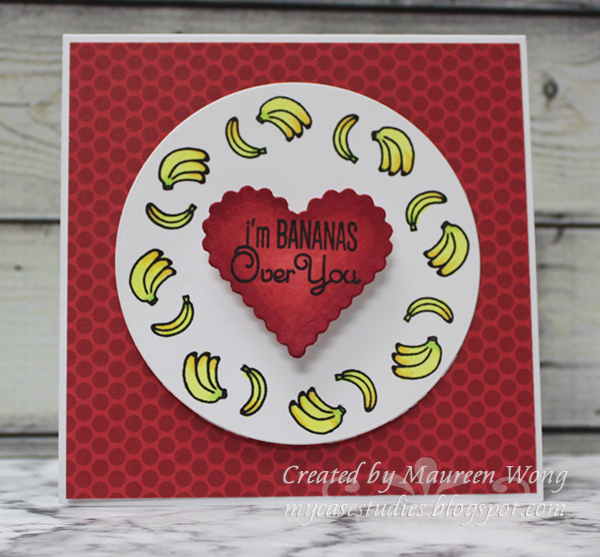 I love bananas.... and your card ! Very cute card! It's not too lovey dovey and I like it! So fun! I love how you stamped the bananas! Thank you for the inspiration. Cute card! It is such a fun card! Cute card. Love the sentiment and the bananas so fun! Love the bananas and how you added a touch of green to the tops! Very cute!